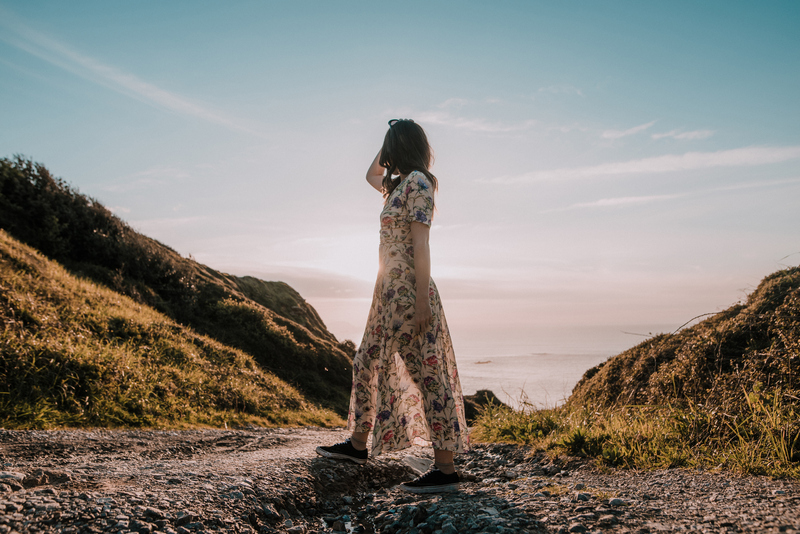 It's 90 degrees in New York City, and the only thing keeping us going is the promise of fall fashion around the corner. 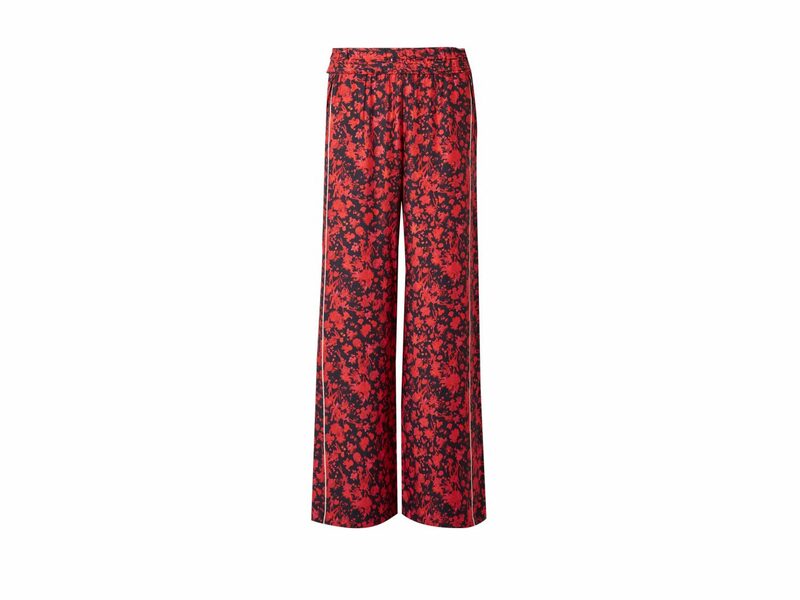 Thankfully, Net-a-Porter's new batch of fall arrivals is here, meaning we're going to blast the AC for the next several hours and online shop until the weather decides to cooperate. Below, the cozy sweaters, corduroy pants, and leather boots we'll be dreaming about from now until November. 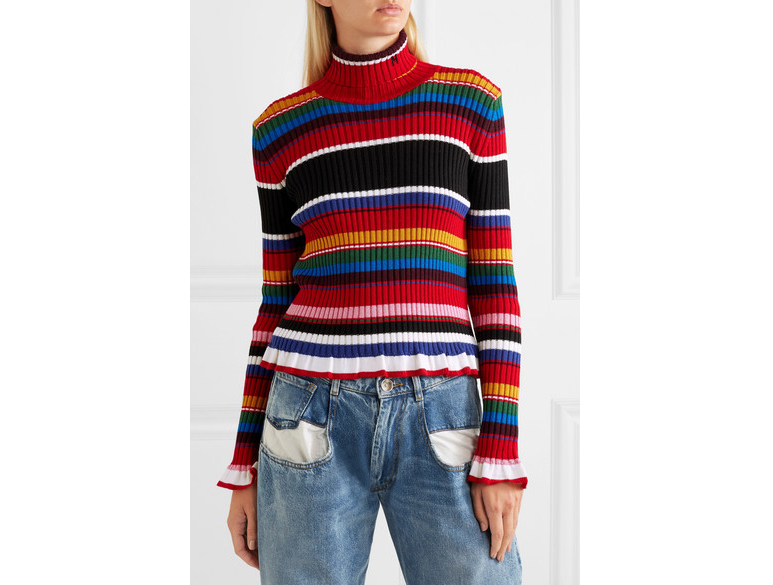 We're all about rainbow brights for fall, and this sweater would be amazing dressed up with a black leather skirt. 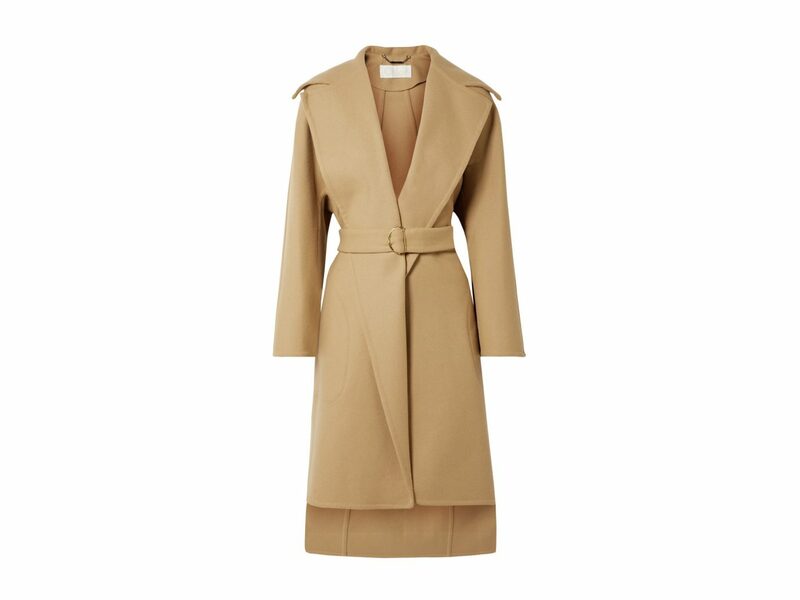 This belted coat adds a dose of chicness to any outfit. 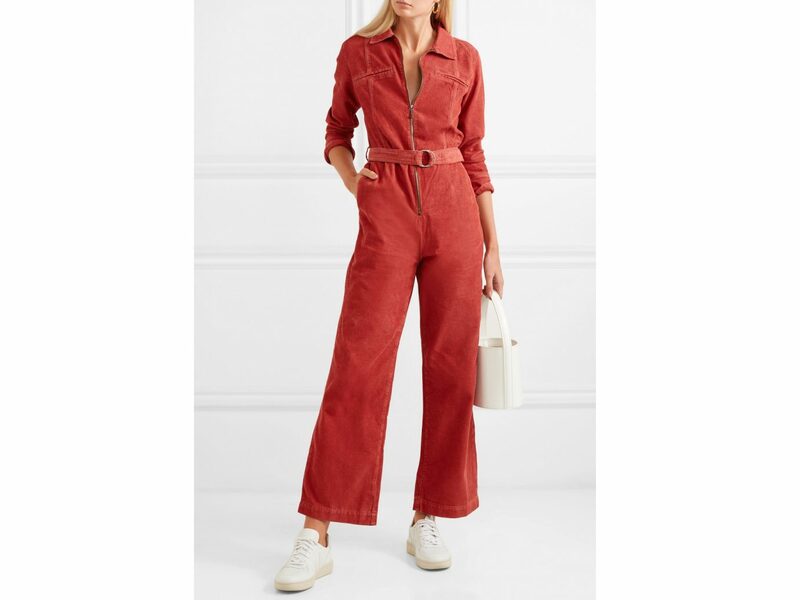 We're so in love with the '70s vibe of this kick-flare jumpsuit. 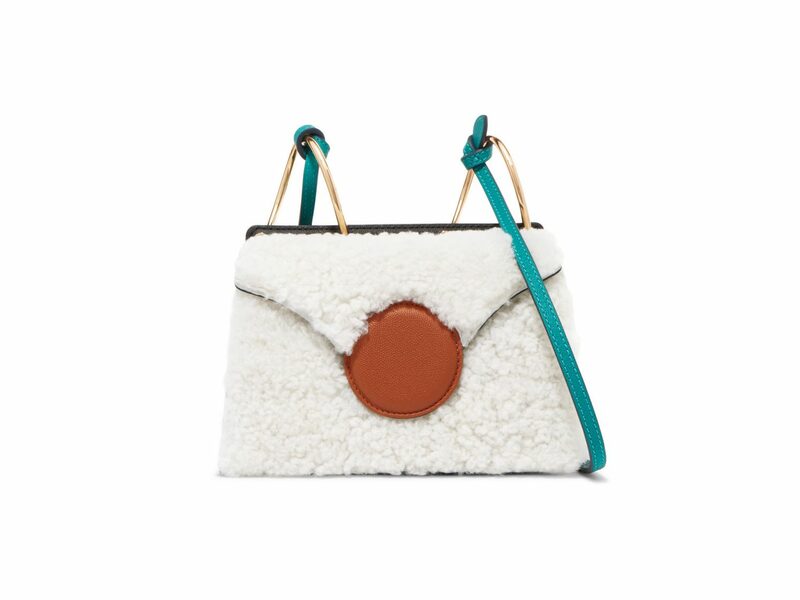 You can never go wrong with a playful pom-pom. Florals? Not for spring? Groundbreaking. 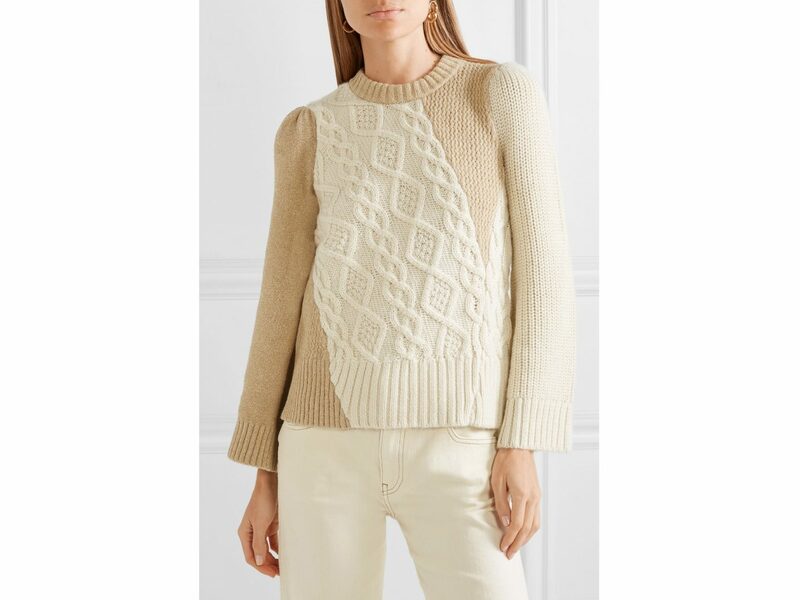 Everything about this sweater — from the creamy colors to the subtle metallic threading — feels so elegant. 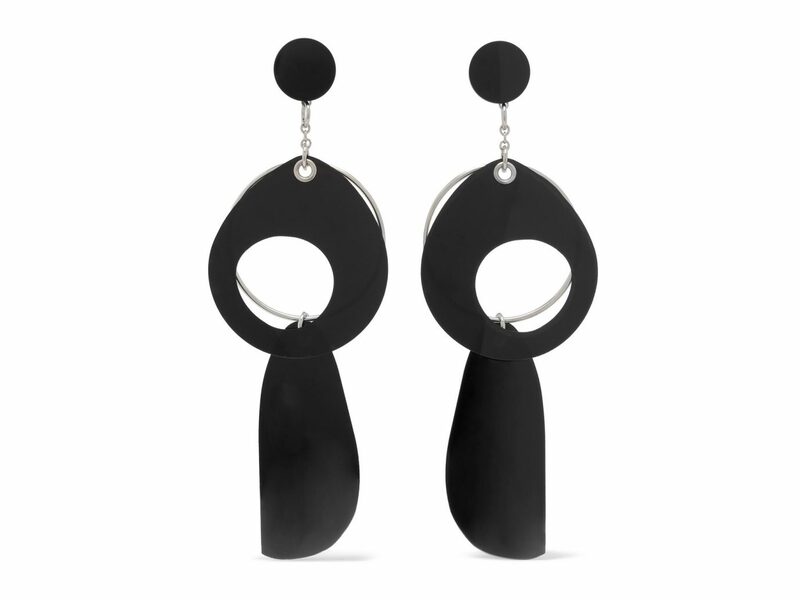 These shoulder-grazing clip earrings are dramatic but versatile. 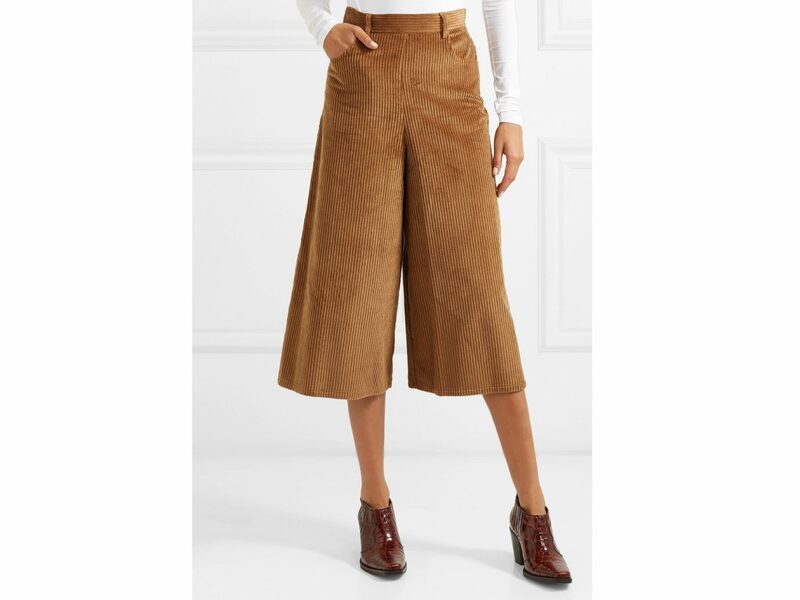 Does anything say fall fashion like plush brown corduroy? 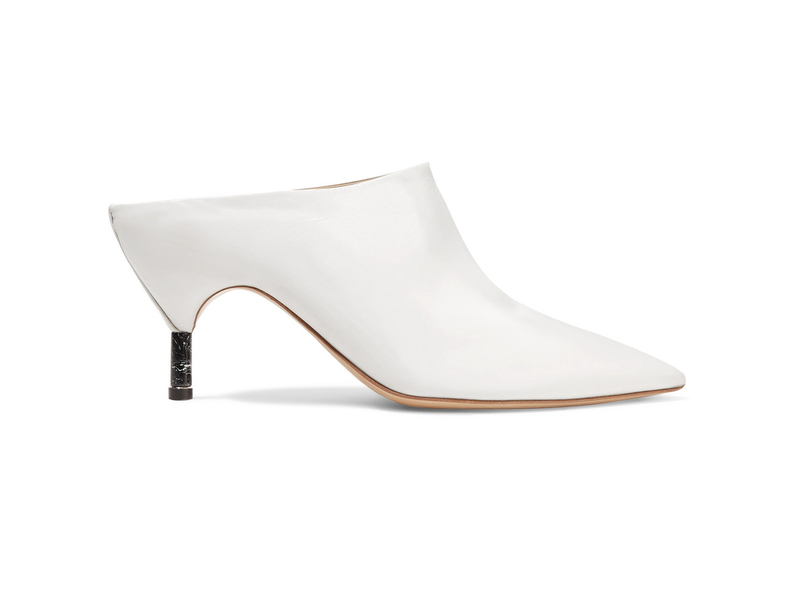 If you thought Labor Day meant no more white shoes, think again — white mules and booties are making a comeback this fall and winter. 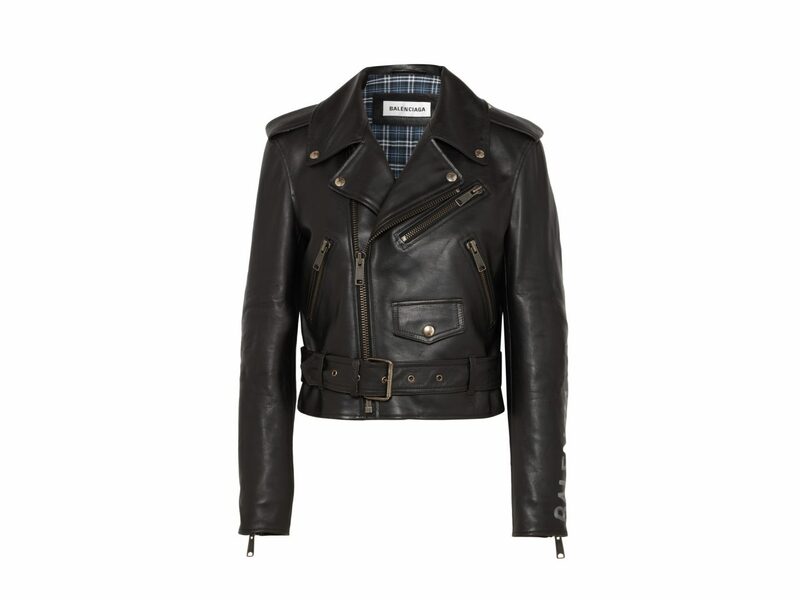 A black leather biker jacket might be the most necessary piece to complete any fall wardrobe. 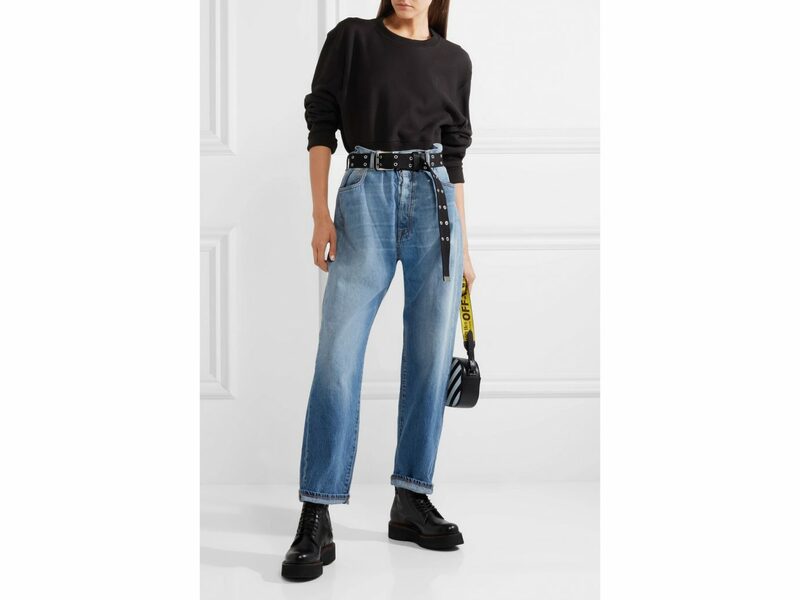 The baggy, oversized fit of these jeans is effortlessly cool. 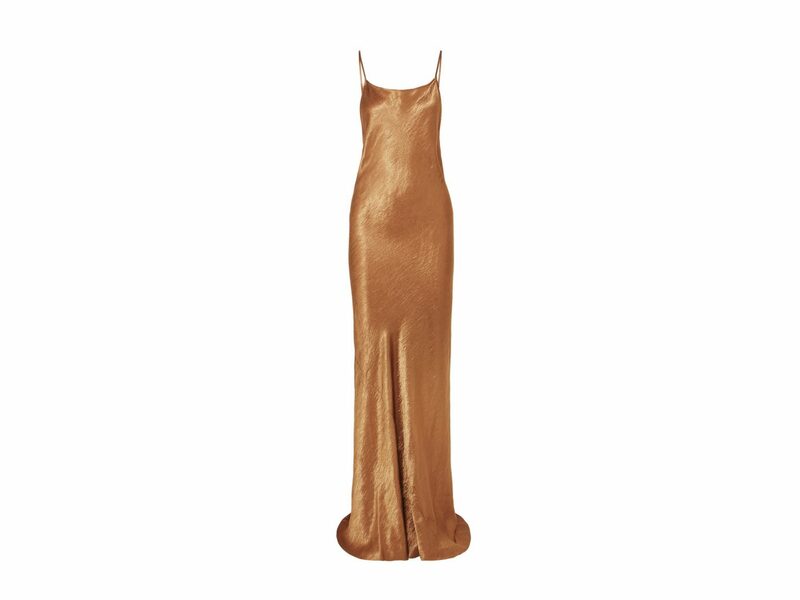 Pair with a black biker jacket like the one featured above. So much texture and color in one little bag. 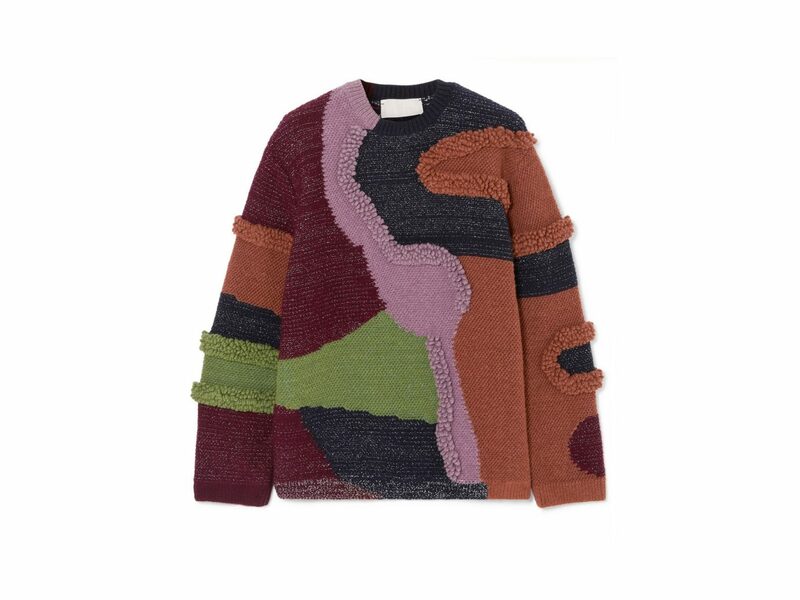 This patchwork sweater is full of character. 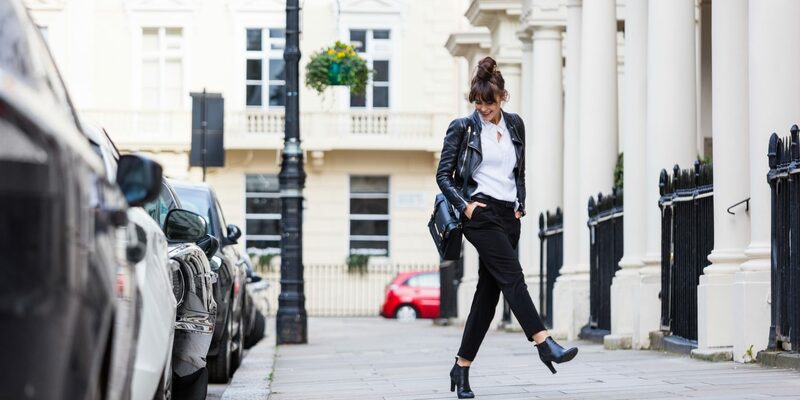 Dress it down with baggy boyfriend jeans, or add some oomph with black leather leggings. 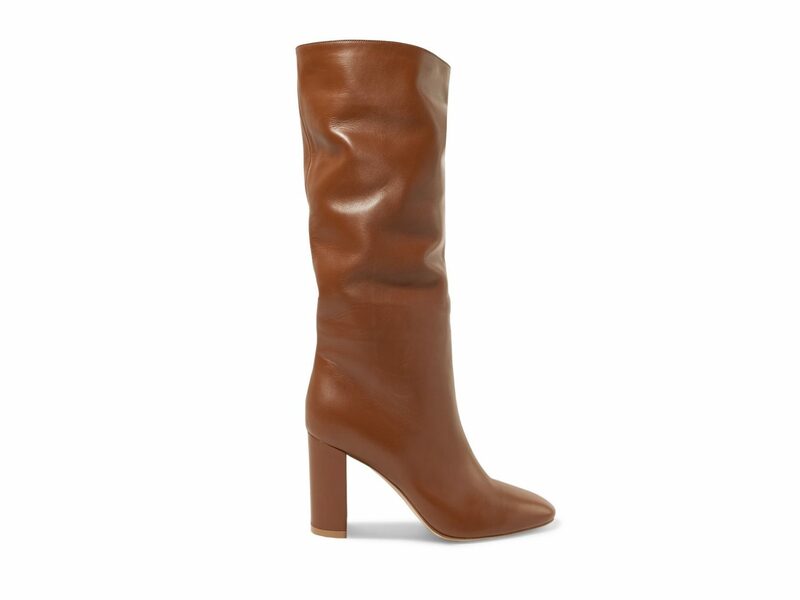 Slouchy leather knee boots are shaping up to be this fall's most coveted shoe.